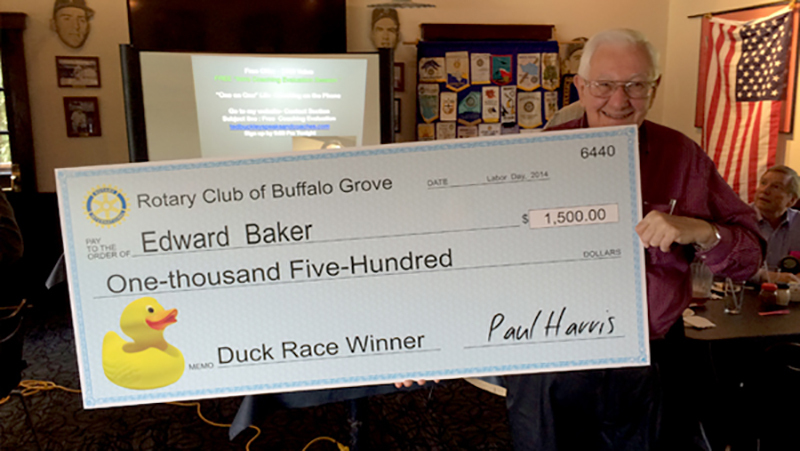 Rotary Club of Buffalo Grove Duck Race is Back! 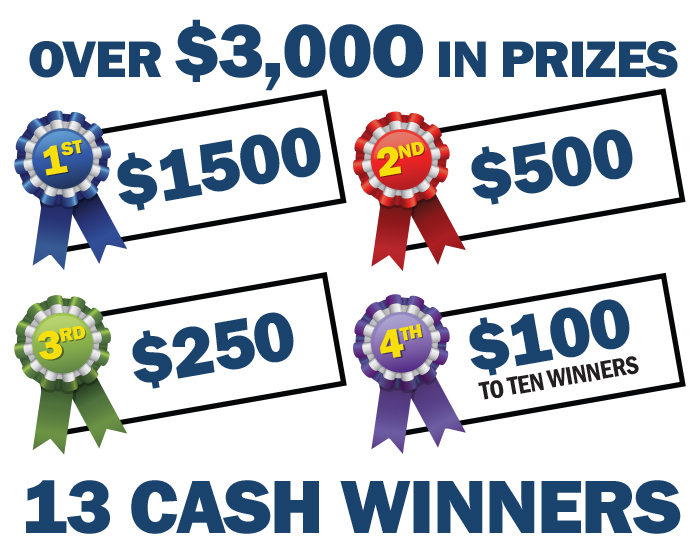 Buy Your Lucky Ducks Today with Credit Card or PayPal — It's Easy! The Duck Race has ended, thank you for participating. 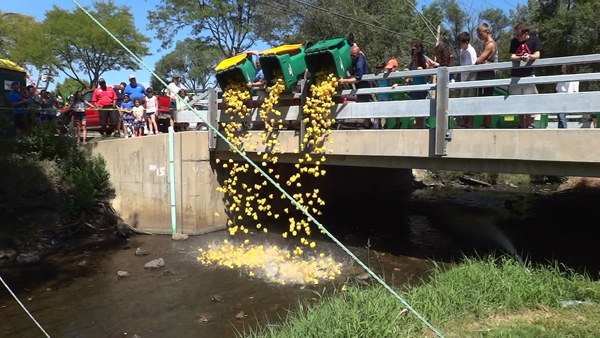 Buffalo Grove Days is bringing back its newest highlight event, the Rotary Duck Race, presented by the Rotary Club of Buffalo Grove. 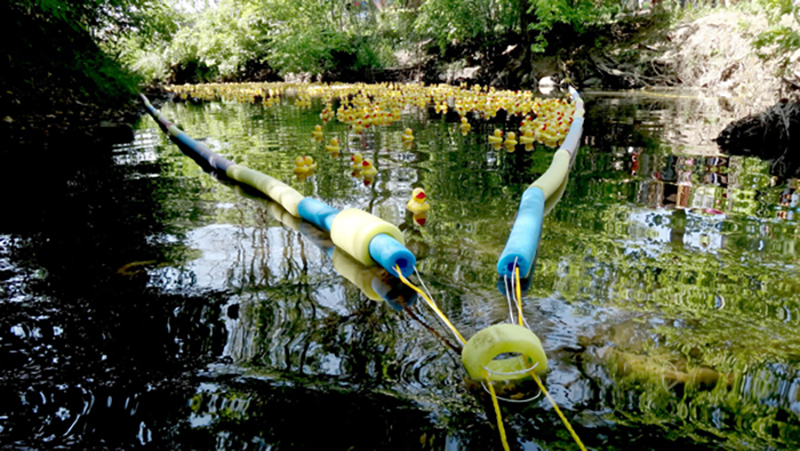 Join in and perhaps your duck will cross the finish line first! The race takes place in a new wet and wild racetrack by the Rotary booth on the Sunday before Labor Day. Donate whatever you can to support Rotary. As a thank you for your donation, you and your friends can receive duck sponsorships. Your contribution to Rotary goes beyond ducks being in the race, it provides the ever important funds Rotary needs to provide aid to causes locally and beyond. Make your donation today and tell your friends to get in the race. If you choose a duck sponsorship package below, you will receive an email receipt of your donation. A few days later, you will receive an email confirming your duck number(s). 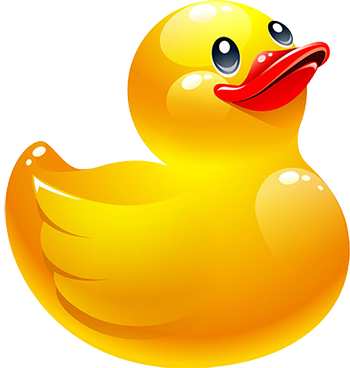 Email duckrace@BGRotary.org if you have any questions. Additional information. Rotary is the world’s first and largest service organization whose members form a global network of business, professional, and community leaders who volunteer their time and talents to serve their communities and the world. Rotary is not a business networking organization. Rotarians focus on 'Service above Self' as a commitment toward bettering the world around them. Strong fellowship among Rotarians and meaningful humanitarian service projects characterize Rotary worldwide. Rotary International is working to eradicate polio, end poverty, and promote world peace and cultural understanding. The Rotary Club of Buffalo Grove supports many local charities and community initiatives, including hunger relief, safety programs, park improvements, Special Olympics, school programs, and student exchanges. Beyond their local efforts, its members have traveled to global service projects that include providing fresh water in Africa, development projects for schools in the Guatemalan jungle, and immunization efforts to eradicate polio in India and Nigeria. Please contact duckapp@bgrotary.org with questions or to report an issue.